If your answer is yes…you will LOVE this recipe! If your answer is no…you will most likely LOVE this recipe! Either way, I promise that if you give oven roasted broccoli a chance it will become one of your favorite veggie side dishes! 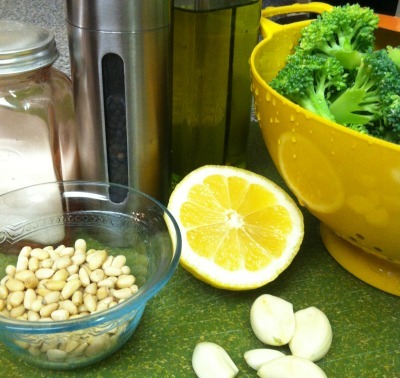 Just a few ingredients are needed to transform broccoli into something special and delicious! The beginning of something yummy! I think that I must have found a similar recipe on pinterest, but it may have been from Ina Garten. I’ve loved the Barefoot Contessa’s recipes for a long time. 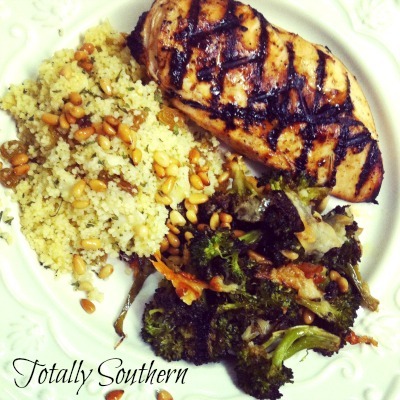 This recipe is very similar and all of her recipes are delicious! 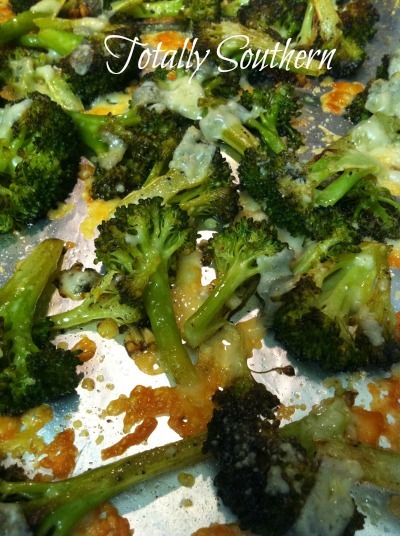 Here is a link to Ina’s Parmesan Roasted Broccoli. Rinse the broccoli and cut into little “trees” to include part of the trimmed stems. Note: You may use only the florets if you prefer, but the stems cook nice and tender with this recipe. Pat until really dry with a paper towel. 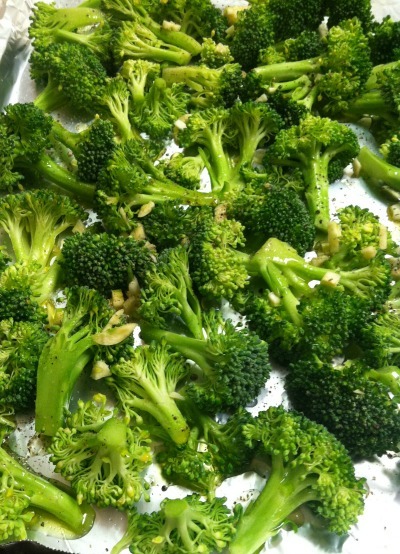 In a large bowl, toss the broccoli with garlic and olive oil. Use enough olive oil to really coat the broccoli well. Sprinkle with salt and plenty of freshly ground black pepper. Cook for approximately 20-25 minutes. Just watch for the edges to start browning and the broccoli to be crisp tender. Remove from oven and flip the broccoli over or shake the pan around. 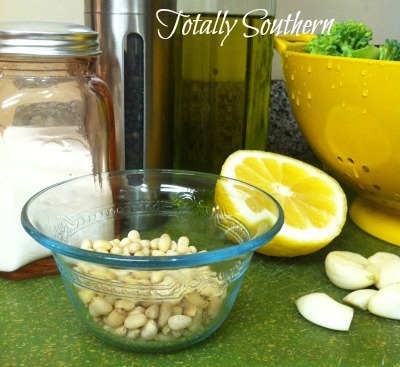 Sprinkle with lemon juice, pine nuts, and parmesan cheese. Return the pan to oven. Check after a few minutes. Remove from the oven when the parmesan cheese has melted and is slightly browned. This should take 3 or 4 minutes. Serve hot out of the oven as a great side dish with your favorite meal. There you have it! Delicious Oven Roasted Broccoli with crunchy pine nuts and parmesan cheese. This recipe also works well using cauliflower. Once you’ve tried it you won’t know how you lived without it! This broccoli is also great the next day. Just reheat for a minute or two in the microwave. Let me know how you like it… or if you LOVE it!